HomeServices We Offer in Addition to Free Workshops. Just want to talk to talk to someone? Services We Offer in Addition to Free Workshops. Just want to talk to talk to someone? In response to the feedback we have received on our programs, we are making changes to our programs. The most significant changes are, lower costs for “One-to-One” coaching and “Taking Charge of Your Future” and online workshops available to anyone regardless of geographic location. If in the Greater Grand Rapids, face to Face Meetings came be arranged. We are able to make these changes due to support from small private donors who believe in the work we do. Many of these donors are former clients of Career Transitions Center WMI. They believe through experience our programs for job seekers and those considering a career change and allowing us to serve those outside the Greater Grand Rapids area. We are grateful for these supporters that are assuring the sustainability of our organization. We have also worked with people from Detroit, Chicago, San Francisco, Columbus, Houston, and San Antonio to name a few locations outside West Michigan. Within West Michigan and just over the border, we have served clients from Traverse City to South Bend, Indiana. 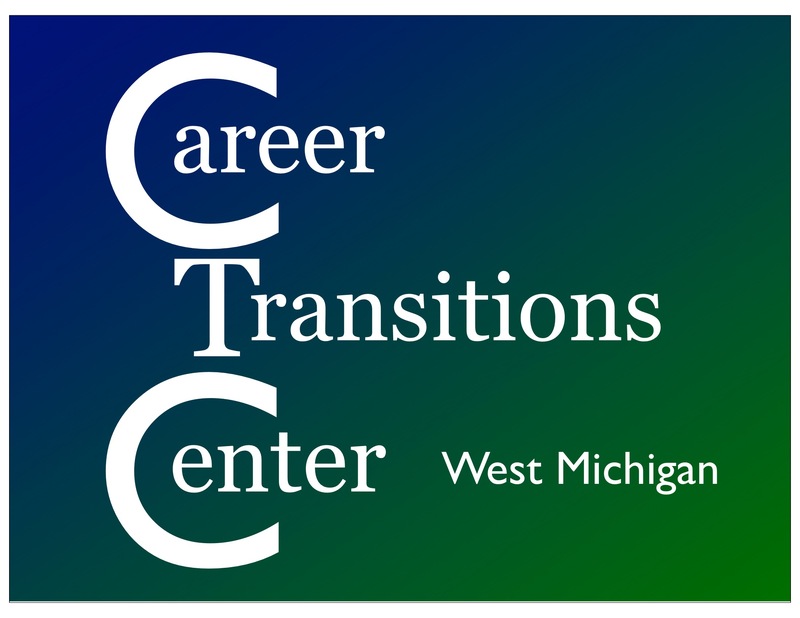 Whether relocating from or to Michigan, we successfully help our clients relocating to successfully transition to a new job or career. For more information, please check our UPCOMING WORKSHOPS POST or check out the tab for more details on our services. You may also contact us by phone (616) 644-6402 or email Mimi Fuger, Executive Director, at mimi@ctcwm.com.